Last weekend we set up our booth, as did a bunch of “Christmas Crafters,” at the Magicial Markleeville Christmas Faire. The plan originally was for all of us to set up around town but due to the nasty weather we ended up at Turtle Rock Park instead. No worries…it was a wonderfully cozy time and the pancake breakfast (thanks firefighters) was excellent! Ready to enlighten, educate and advocate! The view across the room. The Faire went from 10:00 a.m. to 3:00 p.m. and while it wasn’t as well attended as it might have been had the weather been more cooperative I was able to have many conversations with both locals and out-of-towners about cycling, cycling equipment and more. I also took the opportunity to put together a little informational piece that I hoped would enlighten non-cyclists on why we do what we do out there. It also addressed several statutes that I felt should be socialized a bit. Would love to hear what you think about it. Does it need more? Less? 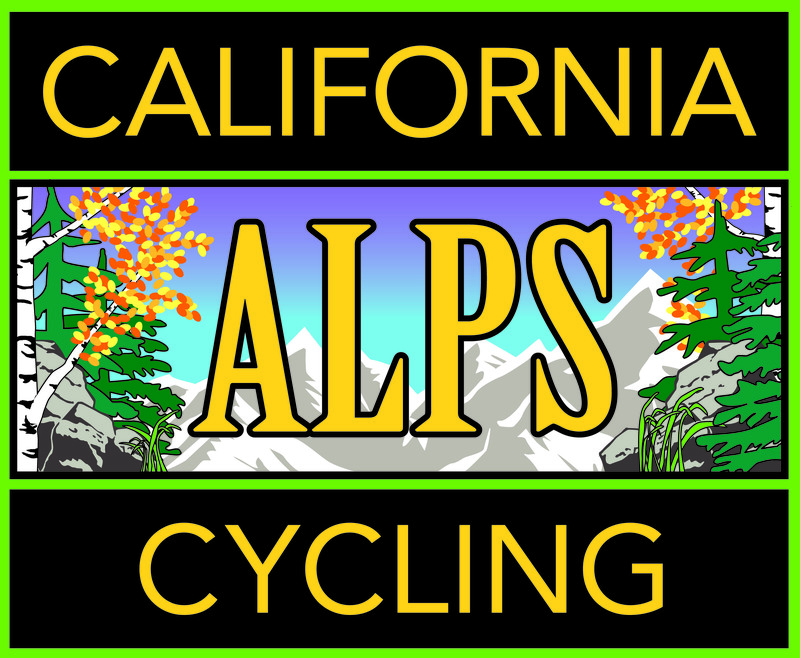 Let me know by either commenting on this page or email me at mschwartz@californiaalpscycling.bike if you’d prefer to get more into the weeds. Would really appreciate it! Ride safe and remember to: “Kick Some Passes’ Asses!” whether that be on the bike, skis, snowshoes, running shoes or boots! First of all, in the interest of full disclosure I must admit I stole the “Here and there” from a San Jose Mercury News sports writer. I can’t remember his name but I always liked how he bounced around with quick bullet points on many different subjects. Having had my road bike in the shop last week I was able to show my 29er (and myself) some love by doing a few mountain bike rides. I’ve got about 300 miles on Bullitt (as I’ve named that bike) and about 12,000 miles on Roscoe II (the name for my road bike). I spent the week in the forest, instead of riding around it and it was freakin’ awesome! Here’s a couple more shots of the swallows dancing around and over one of the hot springs at Grover Hot Springs State Park. It’s an amazing place and this a.m., with the steam and the sunrise adding to the vibe, it was extremely chill. I like it…Extremely chill…You can use that if you want to, dude. “Jet swallow” over the hot springs. Upside down swallow over the hot springs. Okay, I’m done with the Spicoli impression. Onto the next bullet. My wife, Mom and I are members of the Markleeville Enhancement Club, which was instrumental in getting our two welcome signs recently refurbished. We held a little dedication ceremony last Saturday. Giving back, or giving to, is such a fantastic feeling. Members of the MEC, the sign craftsman, Bill Rose (in the hat) and members of the community participate in the dedication and unveiling at the North sign. Check out the shirt I’m wearing (I’m on the far right, kneeling). It’s kinda hard to see but it’s a CAC shirt and on my left chest is our tagline, “Let’s Kick Some Passes’ Asses!” Oh, and that wonderful woman in the tie-dye skirt is our Club Mother, (and my actual mother) January. I’m feeling a bit sorry for myself right now because I’m hanging out in the SF Bay Area as I write this post. Just yesterday, I was in Diamond Valley, saying hi to ‘Shoe. The mountains are calling! You coming?